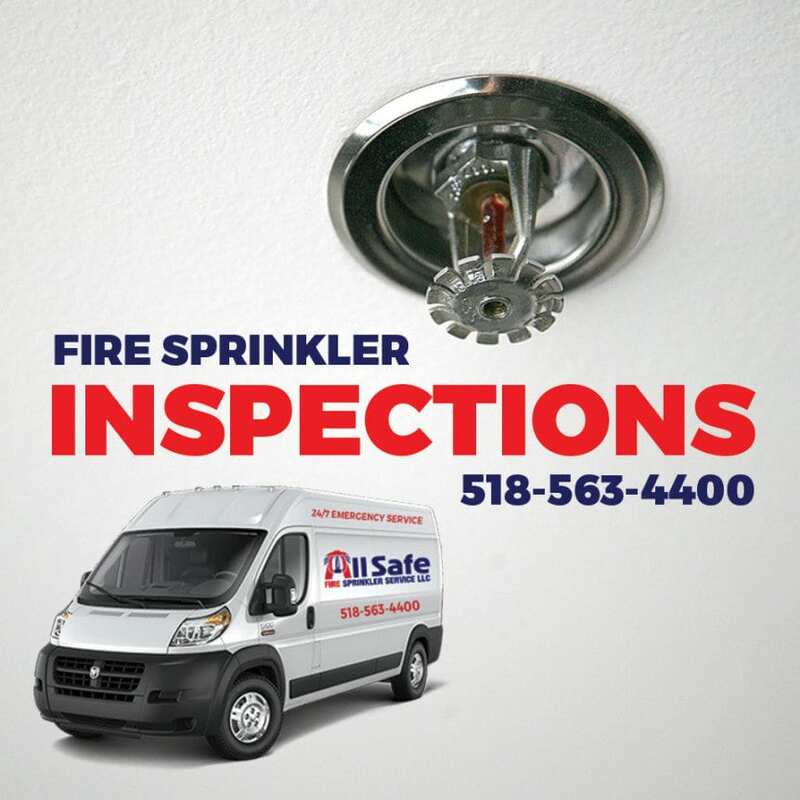 All Safe Fire Sprinkler Inspections! New York Fire Code mandates that you have your fire sprinkler system tested once a year. During a fire sprinkler test one of our certified trained technicians will test the alarm reaction and the flow of water through your system. We also test each control valve by exercising it through its full range of motion, then returning it to its normal position by checking for valve seizure, broken seams, leakage or any other condition that might impair the valve’s proper operation. The valves will then be reset and re-locked where appropriate.